An amazing UFO incident occurred on August 2, 1965, in Sherman, Texas, just north of Dallas, involving multiple, highly-credible witnesses such as law enforcement officers. The sightings on that night were actually seen in four other states (New Mexico, Oklahoma, Nebraska, and Kansas). The Sherman sighting is considered one of the most reliable unexplained UFO incidents of the 1960s. 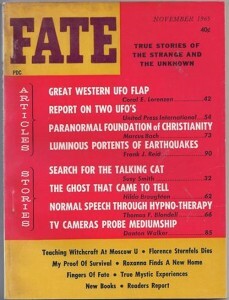 It was included in numerous newspapers, magazines, and books as an example of a totally unexplained UFO case. On August 2, 1965, shortly after midnight, KXWI (Sherman, Texas) television newsman Bob Campbell was monitoring police calls on his shortwave radio when he heard two police highway patrolmen discussing reports of a UFO being tracked on radar and streaking toward Texas from Oklahoma. He left his home at about 2 a.m., armed with a 4×5 Speed Graphic camera and 120 Tri-X film, and drove into Bells, Texas, where he picked up policeman Pete McCollom. Together the two men searched for the object and soon sighted it hanging stationary thirteen miles east of Sherman, on Highway 82. Its outline was clearly defined in the northeastern sky, and the photographer set up his camera. He took four exposures, two minutes each at three-minute intervals. The object’s shape was a cylinder with “Mercury capsule” shape at one end, possibly rounded at other end. Several distinct bands around diameter of cylinder, with disc shaped “bosses” on its surface. An extrusion of luminosity from one band, and an ejection of an unknown material accompanied the object. The remarkable aspect of this particular incident is that, having been alerted by the same radio broadcast, several other individuals were also watching the object. 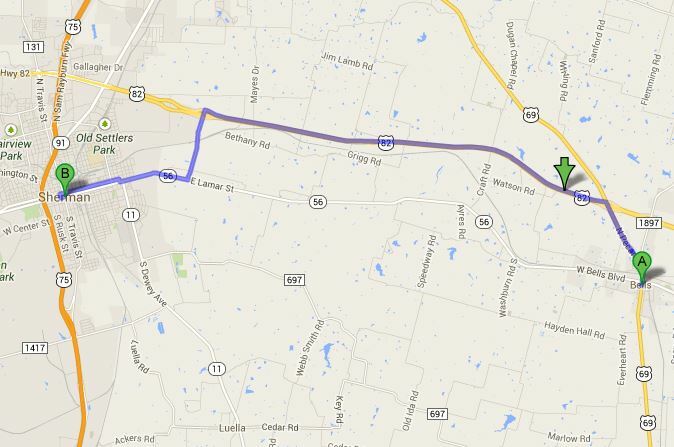 Campbell and McCollum were one mile west of Bells, Texas. Highway patrolman Bill Quires was watching from Durant, 30 mi north of Bells, and Department of Public Safety Dispatcher Jim Faglia was watching from a point seven miles south of Sherman, thus precluding the possibility that the object could have been a planet or a star. 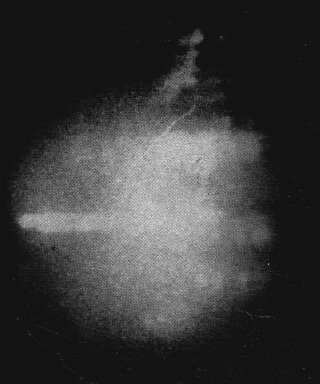 No acceptable explanation has been found for the object recorded on the negatives. It must be considered a UFO. “Flying Saucers: Serious Business”, Edwards, Bantam paperback, 1966, p 165. 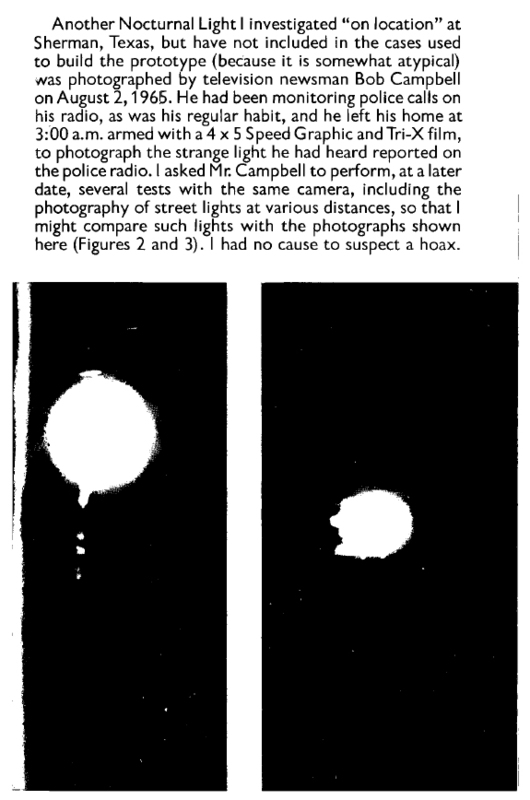 “The UFO Experience”, Dr. J. Allen Hynek, ISBN 0-345-27361-3. “Flying Saucers on the Attack”, by Harold T.Wilkins, p 317. “Challenge To Science”, by Jacques Vallée, ISBN 0-345-27086-X, p 54.